How to Write Effective Reflection Essays. It may be the case that you already know how to write a reflection essay. But the more important question is this: is it effective? 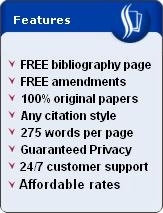 In other words, is your paper able to convey your thoughts adequately and properly? The task may not always come easy, especially if it is your first time to do one. Worry not, however, because we shall try to give you some crucial pointers. With that in mind, let us talk a little more about writing effective reflection essays. In an earlier article that you can read here, we discussed what a reflection essay is. Today, we will be taking a look at some of the factors that make a reflection essay effective. The first one is to be as specific as possible. Avoid generalizations. To do this, you need to provide examples. Cite particulars from the article, film, song, or the topic that are are reflecting on. The particulars can be in the form of a scene from a movie, a line from a poem or song, or an argument or idea from an article, among others. The second secret that you need to know is this: make your reflection essay relatable. In essence, this means that you must make your reader feel what you are feeling. This will ensure that your thoughts can be accepted by others as though they are the ones who are sharing their sentiments in your paper. There are many ways to do this, but almost all of the methods will point you to this tip: put yourself in the shoes of your audience. For instance, think how a college student could possibly reflect about your topic. A third tip in writing an effective reflection essay is to make an outline. This may seem like an overused suggestion, but it does wonders. In your outline, make separate sections for each of your thoughts. That is, devote one paragraph per idea. This keeps your discussion clear and concise, thereby preventing repetition. An outline also removes unnecessary statements, particularly those that stray from your thesis statement or main claim. In short, an outline is a potent guide in organizing your reflections in your essay. Finally, remember to use the first person point of view. As a general rule, reflection essays are personal, so it is only fitting for you to make consistent use of "I" throughout your paper unless your teacher tells you otherwise. Own your thoughts, and you can achieve this by showing to your reader that you are in fact the one speaking (or writing). After all, a reflection essay is meant to express your thoughts. 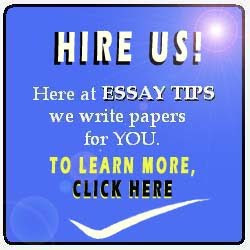 If you still have concerns on how to write an effective reflection essay, contact us via email.